2015, an excellent vintage that brought forth exquisite fruit from some of Sonoma County's most prestigious growers. The crop load was very light, so it was easy to achieve the extra long hang time to develop concentration and dark fruit flavors. Our characteristic integration of new and neutral French oak accentuates the layers of red fruit and racy spices that define our Angels & Cowboys Proprietary Red style. 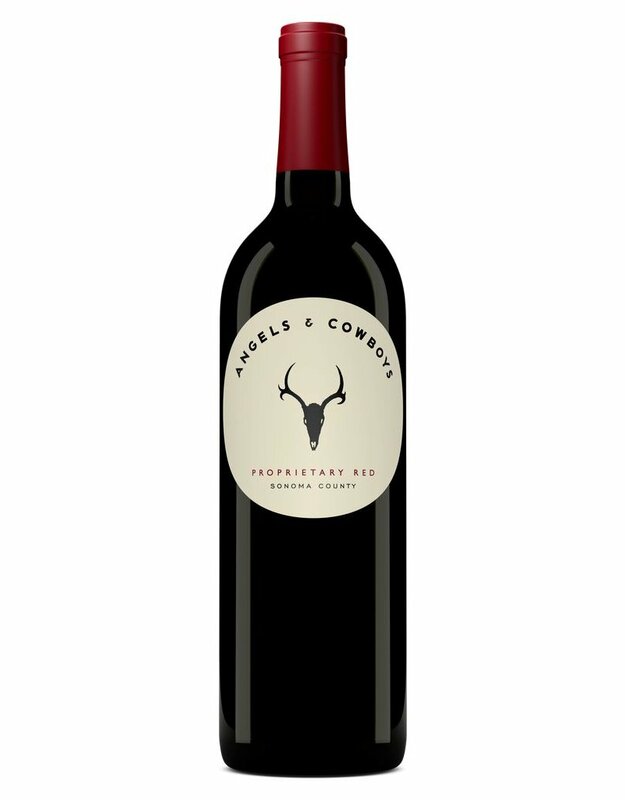 Angels & Cowboys 2015 Sonoma County Proprietary Red is a big, full-bodied style. The aromas are of dark red fruit, dried plum, sweet spice, mocha and vanilla. In the mouth it has generous flavors and bold structure. The taste finishes with just enough structure to enjoy with grilled steak, barbequed meats, pizza or hard cheeses like cheddar or gouda.